Momos are an absolute favourite for many people. They are parcels of fragrant, juicy flavour, eaten with a spicy tomato sauce. Veggie dumplings are always a favourite for those who enjoy momos, but abstain from meat and fish. They are super easy to make, absolutely delicious, and are vegan and dairy-free. Depending on the wrappers you use, this recipe can be easily made gluten-free. 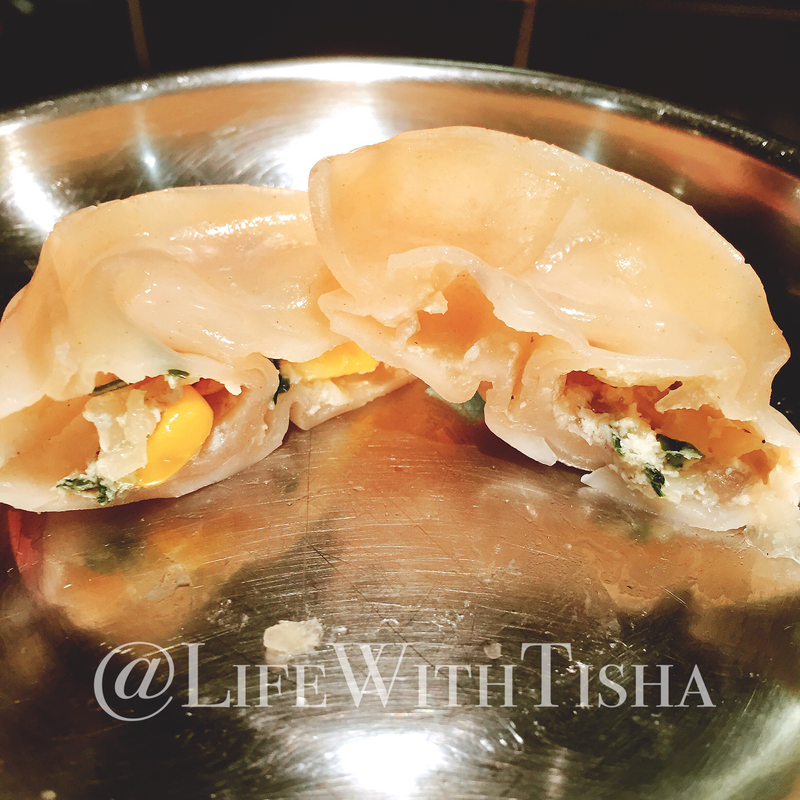 Adapting my Nepalese momo recipe, I substituted meat for soft silken tofu and added some corn for added flavour. The result was mouthwatering. I happily ate much of the veg along with the turkey momos. Make sure all veggies are chopped very finely. Mix all items together very well. There is no need to add extra water as the soft tofu will already be very moisture rich. Place into parcels and fold. If you are a beginner, you can simply fold them into perfect halves, then pinch the edges. The more practice you get, the more shapes and pleats you will be able to make. You can also purchase dumplings moulds online. Steam for 10-13 minutes. When they are ready, lightly blow on them and the cool air will help the dumplings release better. Serve while hot with spicy tomato achaar, ketchup, or soy sauce. 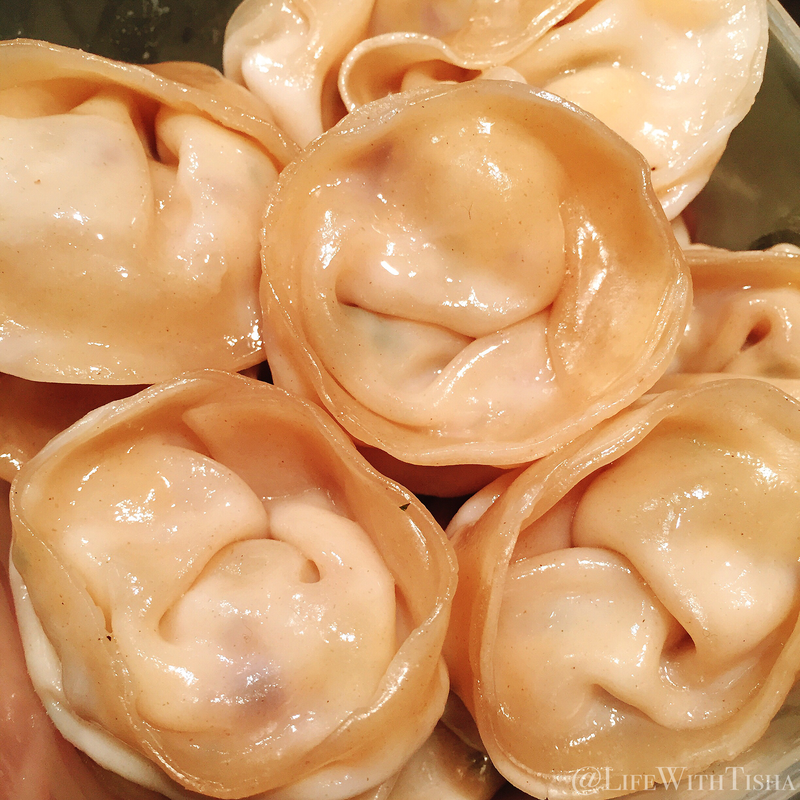 TIPS: Depending on the type of wrapper you buy, you can steam, fry, or boil your momos. Here is a cool video by The Oregonian on 6 ways to fold a dumpling. Remember, nobody masters anythng at the first try. I’ve been wrapping momos for over 10 years and even I sometimes mess it up. Enjoy making this with family and friends and eating them as soon as they have finished steaming for optimal taste. Do you have the recipe for the spicy tomato sauce by chance?